Since 1993, Designs for Growth’s impactful print communications (advertisements, brochures, logos, magazines, presentations and sales promotions) and dynamic electronic designs (banner ads, blogs, email newsletters, interface design and websites) have created measurable and consistent results that build customer loyalty while bringing brands to life. You have a website. When’s the last time you updated it? Our Web sites are functional marketing pieces that compel a visitor to linger and explore. They create a comfortable, yet enticing atmosphere, that’s organized so the visitor can easily find what they’re looking for. Designs for Growth will help you organize your information, develop your strategy, determine your technical needs, and offer creative solutions. 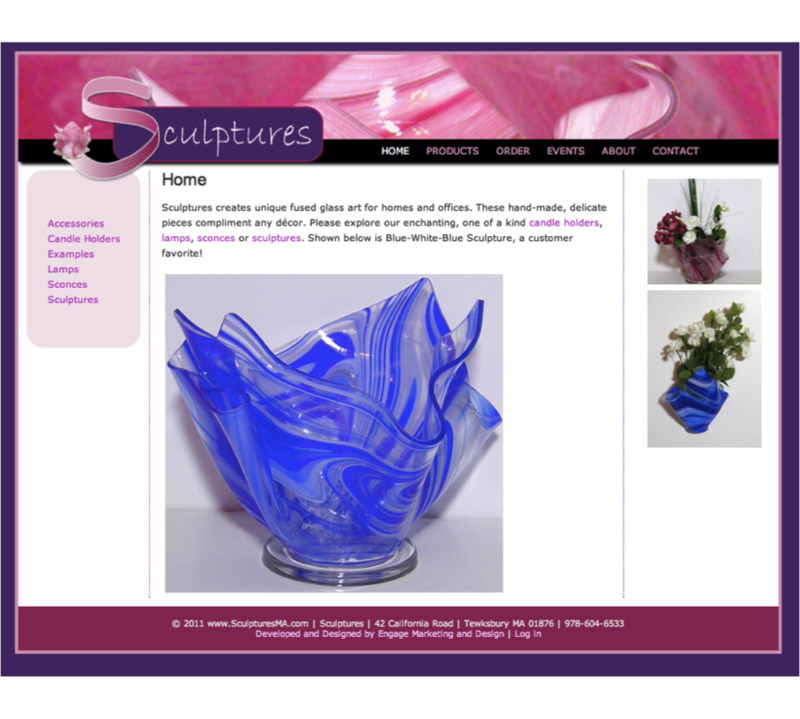 Shown here is a site we designed and developed for Sculptures to showcase their products and allow customers to purchase online.